Powerful teaching tool for kids/teens for the price of a few Frappuccino's! 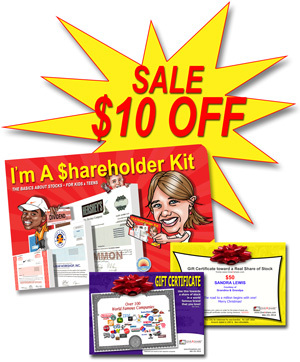 Includes our award winning I'm A Shareholder KIT which already has a discount coupon for $20 off their first share, PLUS a Gift Certificate that can be applied towards their first share of stock. Choose the value below.